Are you interested in making your tattoo but need creative tattoo designs? Well, you don't have to worry because fresh Jagua has a wide range of reusable tattoo stencil sheets that have amazing tattoo designs. You can easily make your own tattoo at home with great tattoo designs. 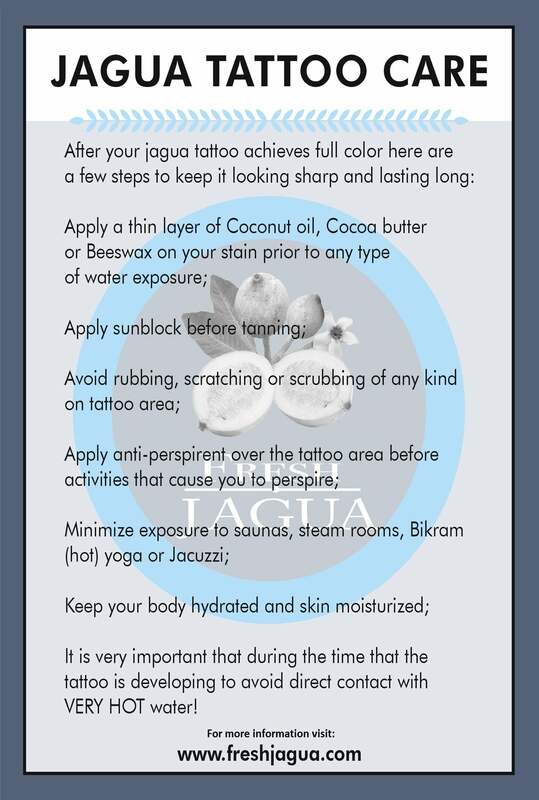 One of the unique products we have is the Fresh Jagua Organic Stencil Solution which can be found in any of our kits. It is a creamy lotion that helps you to transfer real Jagua stencil outline easily and it will also protect against smudging and wiping during a tattoo job. The stencil solution is Vegan-friendly with certified organic ingredients. Some of the temporary tattoo stencils we have include the 6X Reusable Stencils Sheets, the Reusable stencil sheet #10 which has various designs and several others. To get the best results, you can use the tattoo stencils with our Fresh Jagua Ink Gel. With this perfect stencils kit you will easily make your own tattoo at home! The kit includes 6 diff..
Our reusable stencil sheet comes with several great tattoo designs. With this stencil will..